Going head-to-head with Apple's newly announced HealthKit, Google has just revealed Google Fit, a fitness tracking service service to call its very own. Google Fit's open APIs allow any connected apps and devices to seamlessly share data, all of which gets sucked up by Google Fit. Fit is supposed to make it easier for you to analyze data from all your various health-tracking apps. Pichai says it's "crazy" that people visit their doctors, at most, once a year to have their heart rate and blood pressure measured. "You obviously need to be able to measure these things so many more times and then apply more intelligence to it," he says. There's already a whole slew of third-party developers on board with Google Fit, one of the more notable being Nike, which will allow all the data pouring into Google Fit's API to integrate with Nike Fuel, too. 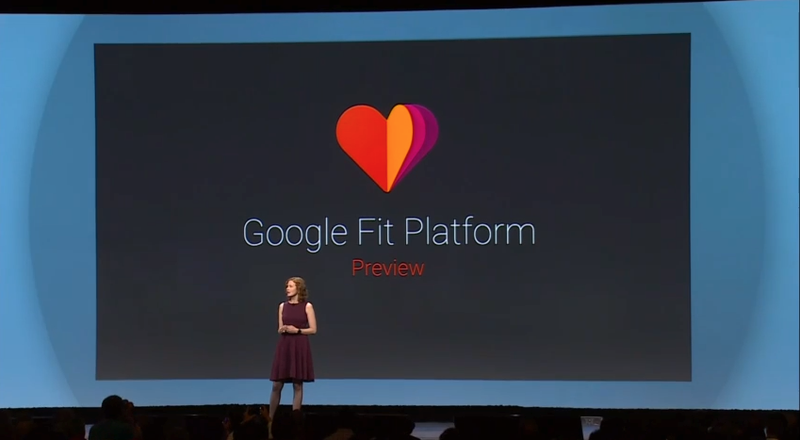 Developers will be getting Google Fit's SDK in just a few weeks, but no word on availability for the health-concious masses.